The impact of research by the Graham Centre for Agricultural Innovation for farmers and the wider community is demonstrated in a new Australian Government report. Two Charles Sturt University projects undertaken through the Graham Centre are listed in the top 240 impact case studies in the Engagement and Impact Assessment 2018–19 National Report prepared by the Australian Research Council. Graham Centre research as part of the national EverGraze project showed it was possible to significantly increase the profitability of livestock enterprises while reducing ground water recharge and soil loss, by better matching pastures to the environment and farming systems. “Almost 2000 farmers attributed on-farm improvements to applying research outcomes from EverGraze, impacting 817,000 hectares and returning and additional $306 million,” said Professor Michael Friend, who led part of the research. Graham Centre research to develop new pest management approaches is also recognised for delivering benefits to Australian farmers and those in developing countries. 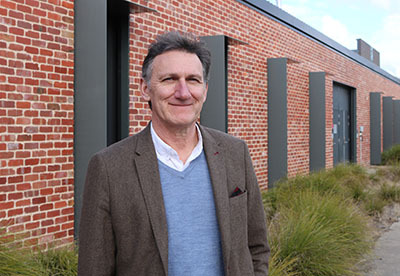 Professor Geoff Gurr’s research has examined ecological tactics to reduce losses in a variety of crops from rice, to cotton and pine plantations. “Our research demonstrated that perennial native vegetation was a major source of beneficial insects that boost biocontrol of cotton pests and it’s been pleasing to see the industry take this on board,” said Professor Gurr. Professor Gurr’s work has also benefited farmers in south-east Asia where he has demonstrated how nectar-producing crop plants grown around rice fields promote beneficial insects, boosting rice yields and reducing the need for chemical sprays. Read more about Professor Gurr’s research on CSU News here. Read more about CSU’s research excellence in support of our communities here.